two for tuesday: recovered bikes! well, well, well. who says the bike fairy godmothers aren't on the lookout for your bikes. 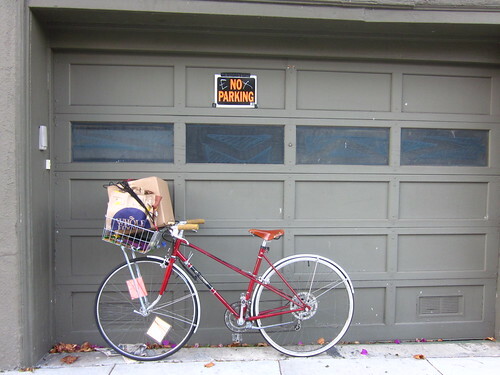 ok, most of the time people do not recover stolen bikes (except for ade), but i have two stories for you. and the common thread is community and power of social media when used for good. the first story involves my former roommate, ayuchi. she had the cutest sweetest blue terry bike. notice the front wheel? it will become important later. so ayuchi is a student, and students get very tired. people make mistakes. 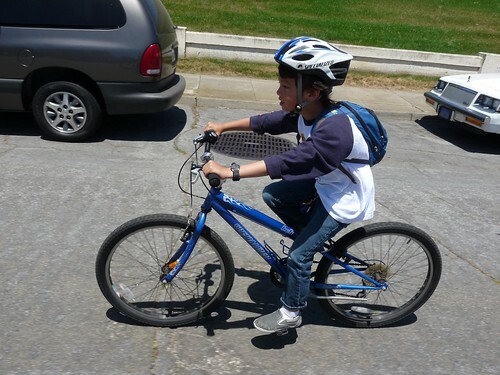 she locked up her bike at the 16th street bart station, and then when she returned after a day at school, it was gone. except for the front tire she locked to the pole. she came back with a lock and one tire. and a very sad face. don't know if those outside of SF heard about a the sf police department discovering a lone bike thief who had stolen over 100 bikes. they posted these bikes on the internet. turns out, one of them looked very similar to ayuchi's. despite the blurry picture, you can see the bike is missing its front wheel. and had other similiarites to ayuchi's beloved terry. this one involves plattyjo. i know her from g+, but other people know her as jenny oh. 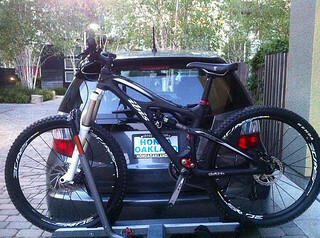 her beautiful ibis mountain bike got stolen recently as well. 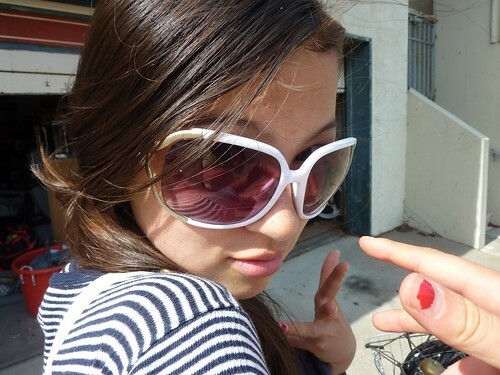 she asked for people to put on social networking blast. 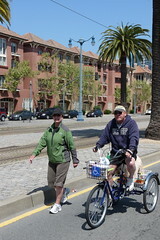 i put it a couple of places on FB, including the east bay bike party group. someone from that group, jillian, went to make the flea market rounds looking for her bike before she went to work this past sunday. well, jillian didn't find her bike, but she did see jenny's and said she recognized the bike from an FB posting. not sure if she saw that particular post, but the point is COMMUNITY ROCKS. read the full story here on jenny's blog. with all that bikey karma, i think jillian will find her own bike soon. or maybe someone will find it for her and return it to her. 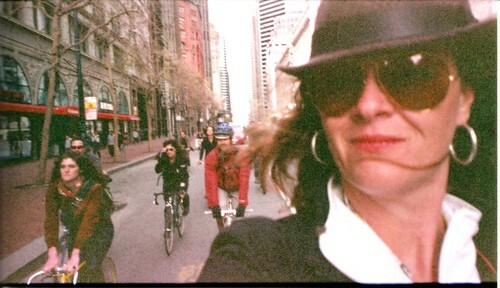 these stories are why i prefer to use the word "bike community" as opposed to bike culture. we look out for each other and take care of our own. 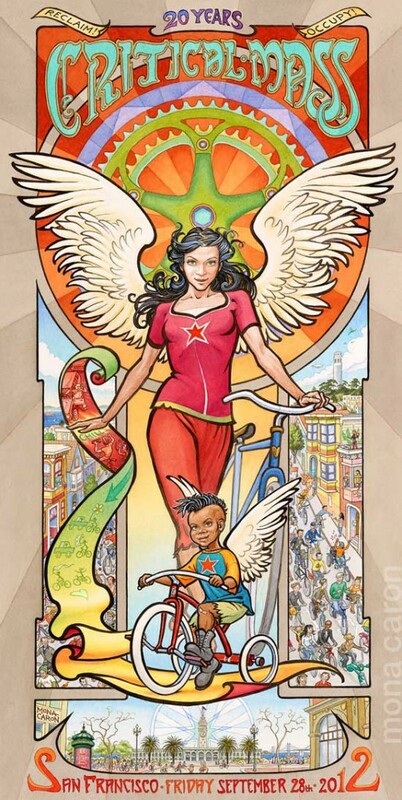 here's to our little bay area bike community! Bicycling has brought so many changes to my life. There is something about how it frees you from convention, if you let it, that propels you into new experiences. My shopping habits have changed (way less packaging because it is too hard to carry, more farmer's market purchases, more small store purchases because it is hard to park at the mall...), my eating habits are different (smaller amounts more often because it is awful to bike on a full stomach), my transportation choices have shifted (I will bike if I can, even when the car could be faster) and so much more. 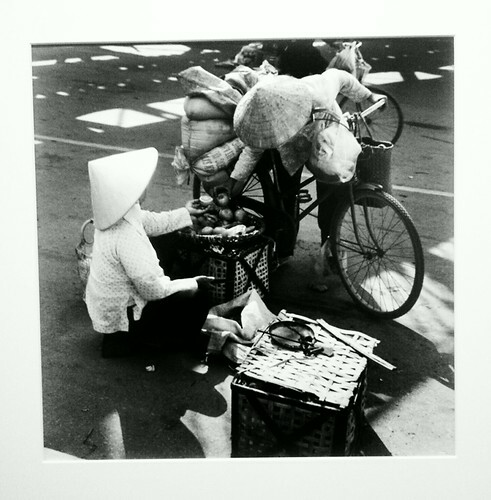 My entry into photography was completely a result of riding my bicycle. When I started seeing pictures from around the world of people on bicycles, I wanted to start adding to the record of what was happening around me. As time went on, I wanted to do better at it and so I started to explore the camera. Even pictures of things that have nothing to do with bicycles still have a bicycle as part of them as I probably bicycled to get where I was shooting or the subject was found while riding around. Bicycling is very hard on digital equipment. I have managed to destroy my Pentax 10D when I crashed my Bat on the Market St. train tracks. The smaller ones have either worn out or been dropped too many times. 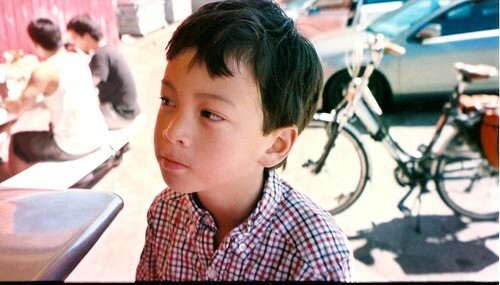 So now, I am using film cameras that are much smaller and a great deal more robust. But that means that my old "shoot-from-the-moving-saddle" style has got to change. but it is a great deal more difficult than it used to be. 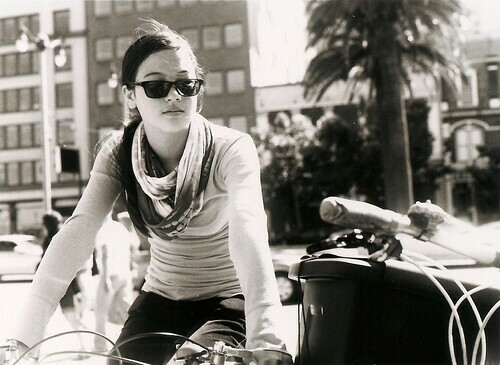 So now, I will have to find a new style of shooting the bicycle scene. This means finding a different way to interact with it, too. It will take time to work out, but it will be fun and my bicycle will be with me all the way. test riding? what's a test ride? 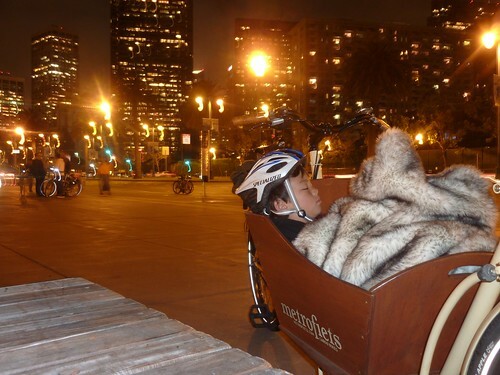 well, i volunteer for SF bike party and we have an ambitious desire to go up twin peaks with riders of all abilities and those heavy music bikes. 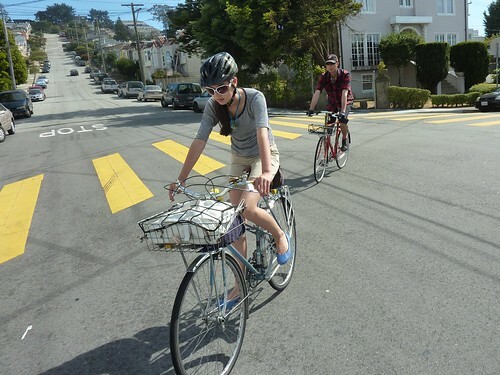 so we were scouting the route for the gentlest way up one of SF's iconic hills. these are some of the fotos i took yesterday while on the ride. upupup foggy twin peaks. notice all the bike signs? that means YOU CAN DO IT. summer in sf. 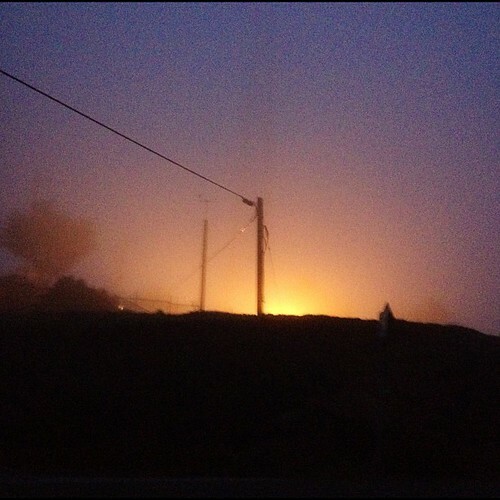 san pancho fog machine. fog machine. fog masheen. alternate title: "fire, bike with me." celebrating with deconstructed burritos at the end of the ride. more riding on the table for saturday and sunday. not too crazy, as i'm supposed to be "tapering down." might not reach 500 miles in july, but i sure had fun riding as much as i can! happy weekend everyone, and happy olympics! Hat, skirt and a hat. Keep calm and ride on, mate. Life and the elements, outside of social networks. Found this image interesting before reading its article (which I now have read) and thought I'd share. I may not be the most avid FB user, but cannot simply ignore the power and connectivity of the social platforms out there. Here in San Francisco we are exposed and breathe technology like no other place in the States, and the globe. The best in hardware and software is within miles and once you leave the Bay Area, you know how cutting edge the bubble is. 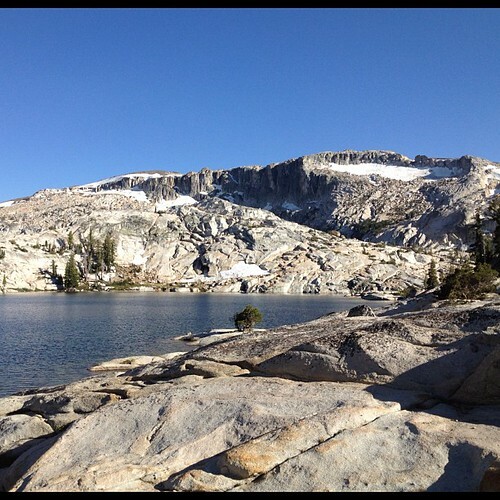 The newest kids in the block such as Hipstamatic, Instagram, Path, Square and now Pinterest -just to name a few- are all located within a mile. 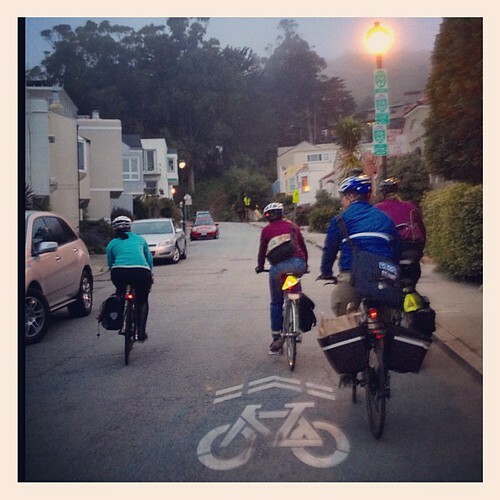 Keeping this post between work interaction and getting outside, we recently learned about a non-tech, well food product per se, Bay Area local +well-established company rewarding its employees (every single one) with a Public Bicycle: Clif Bar Bike Benefits. You may have had more than a few bites in the past, Clif bars are great. At any rate, weaving through Yahoo's Flickr and Google's gmail+blogger, is how the 3 of us here (CTX, Ade +I) initially met here in San Francisco a few years ago. Mainly, because we were probably not at home clicking away, but we rode our bikes for work and play most of the time. And for example the Calitexican and I first met interacting randomly and chatting it up quickly thanks to Duby's awesome tie, on a Friday many Critical Mass years ago. 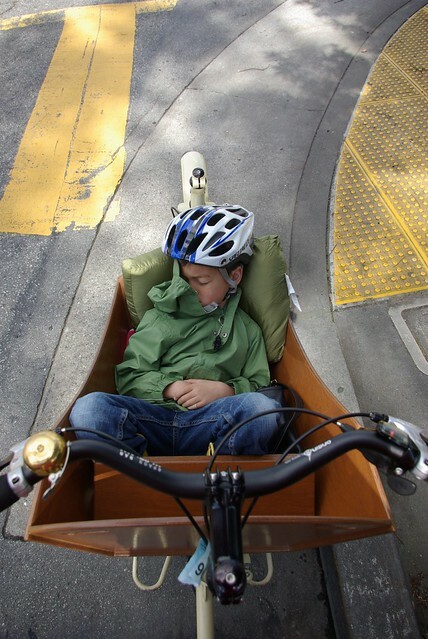 "You’re outside on the streets, not locked into a car and can easily interact with other cyclists or pedestrians. That can be by chatting, or just a friendly smile. 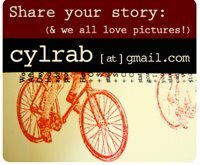 If you see us cycling around on our Facebook bike, please say hello!" On the flip side, great to see an Amsterdam company involved and encouraging people to realize there is life outside Facebook. A friendly smile and a chat is far cooler than a LIKE. 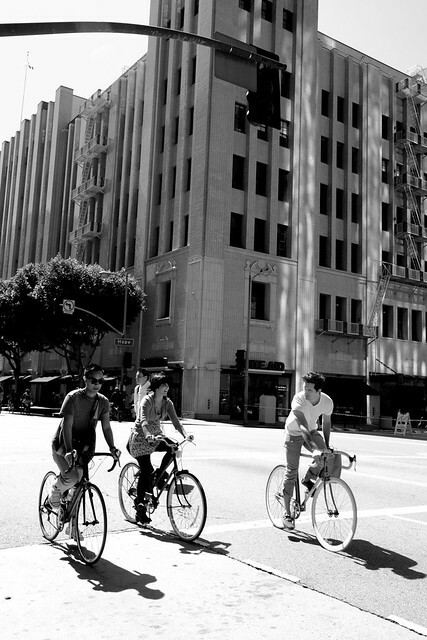 I think more companies should encourage not only the bicycle and social use, but the fact that there is something very crucial to the mental wellness and that is the IRL: in real life. Having worked for a highly desirable company, which I shall refrain from naming, my team was AMAZED that I actually walked to the food market or cafeteria during my lunch break. And this was an unwritten issue, and I certainly felt the friction. For an hour, I decided that during my lunch I was not to answer emails (how dare I not have lunch on my desk) but I was ok answering the phone, you know just in case of an 'emergency'. Well that job is far behind me, and the point here is that with the accessibility to connectivity, many companies and jobs do expect a 24-hour devotion. In my personal opinion this is very wrong. I am a firm believer of a being passionate about your job and working very hard for success, but many of these expectations seem quite unreal. To wrap-up a short thought here about the importance of being outside and interacting with other real humans other than your keyboard, or smart phone -- how do you integrate your bike/social life around your dedicated time of work/parenting/daily duties?Does your work schedule change the ways or the time you dedicate to it? What efforts or challenges have you faced?Do tell. How social is your cycle? i saw this yesterday over in social medialandia and the sentiment i thought of when i saw it is still resonating with me. so i thought would be perfect to share here. some things are just bigger than us. whether it may be shadows, ideas, bikes, bike parties, life, death, art, film, etc. our place in this world is smaller than we imagine, so we better make the best and biggest bang we can within our little space. also, this foto reminds me a bit of felini's 8 1/2. --i'm not sure the original source of the photo, so if you know, please let us know in the comments and the info will be updated. 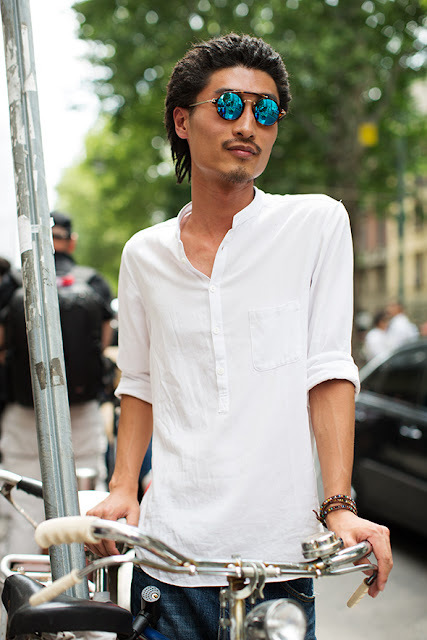 A huge thank you to the Sartorialist for seeing, shooting and publishing the following image. Holy smokes! Take a look at this one, too, and these if you like. Think we could get Scott Schuman to shoot for us here at the blog? We pay in casserole! Arthursday: Last Friday, Every Month. Just like photograph, great posters are worth more than a thousand words. Just like the fortune cookie, San Francisco cracks open all kinds of treats and allows us to witness great things and movements. 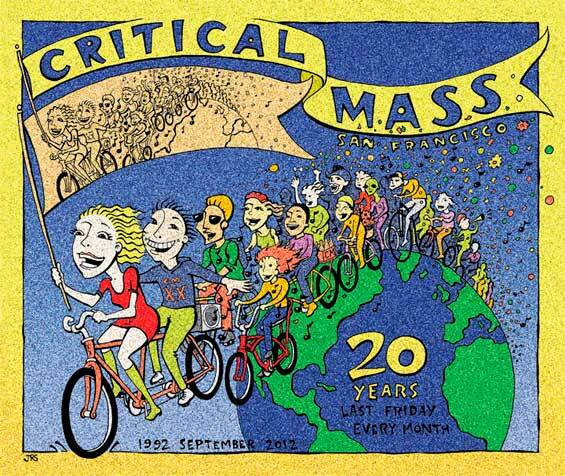 Critical Mass was born here 20 years ago. Here is the latest 20th anniv. 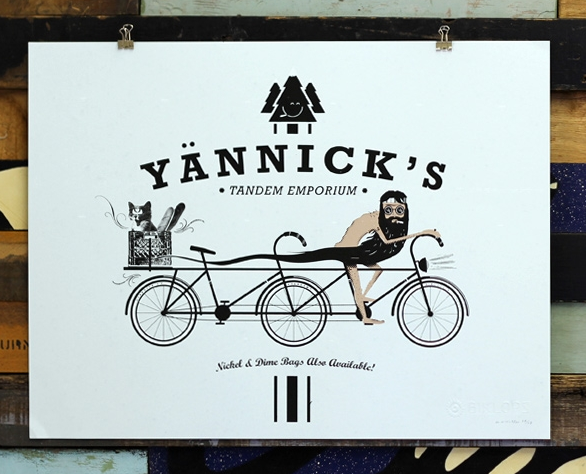 version by local artist, bike rider poster maker amigo, fellow art school alumni y cat lover: Hugh D'Andrade. "This poster is by yours truly, Hugh D’Andrade. I tried to create a poster that would communicate some of the energy, excitement, complexity and diversity of Critical Mass." And below, more anniv.versions and great pieces by Jim Swanson +the amazing local woman artist y muralist Mona Caron. 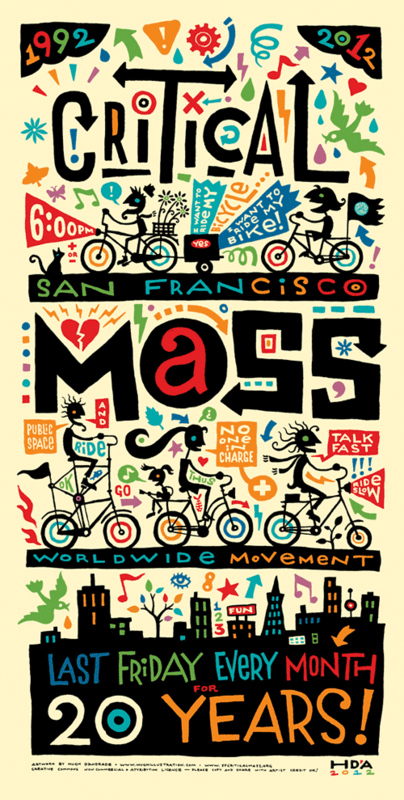 Whether you live here in San Francisco or somewhere around the world, do you remember your first critical mass? September is around the corner. July is TdF season -- but it's now also (and much more importantly) the running of the Inagural #bikecommutercabal 500 Miles In July Challenge! Can we ride 500 miles -- each -- in July? Let's give it a shot! All the miles you ride count, not just commuting miles, so let's get out there and roll! has been interesting to see how many miles i really do put in. 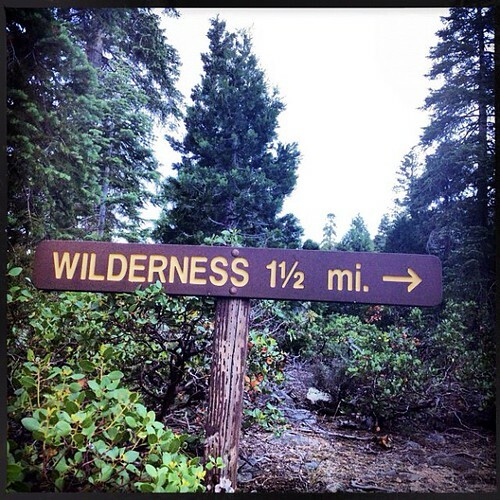 i was gone for three days this week, so unable to put any miles in (although 20 miles backpacking should count for something!). i forgot i basically ride 6-10 miles a day just for commuting. that's not counting going out, running errands, bike parties, test riding and of course, riding around on the weekends, and during the week. ok, so i guess i ride a lot. and that stuff adds up riteqwik. i don't have a bike computer on this bike, but i have a spreadsheet in the cloud that's keeping track of this stuff. i'm training for the marin century. third year in a row. second one where i am attempting 100 miles. i have been training whenever i can get a spare minute. 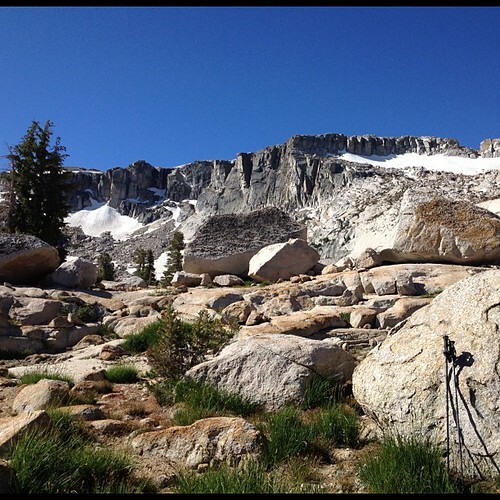 i counted backpacking as cross training. but if i have a couple of spare hours, i'm firmly planted on the brooks saddle trying to break that sucker in. for the record: ouch. first time i've been researching chamois butter type stuff. interesting to talk about hoo ha with the inevitably male bike shop staff. according to spreadsheets and simple maths, i need to average 16 miles a day in order to hit 500 miles by end of july. i'm not where i should be, and i suspect that's from the three day hiatus. so tonight is a butterlap to make up for some miles and then two rides scheduled for this weekend. if you told me four years ago i'd be backpacking as cross training for riding 100 miles in one day, i would have told you you were crazy. maybe i still am, but it's my reality right now. pretty fun i must say. no gym membership needed. Every now and then the kids like to be the teachers. They like to share. Yesterday Declan wanted to share some new found knowledge with us as we came home from a day out in the world. San Francisco has been one giant Dyson vacuum for the last month. The winds have been vicious and seem to always been in our faces. I was telling Declan we needed to start carrying handkerchiefs with us after he complained about his "snifflies" from all the wind. "No, Mom! You just hold half of your nose and blow really hard.". Declan was showing me how to blow the age old standby of the cyclist, the Snot Rocket. Too bad no one ever told him to never blow one into a headwind. Oops! Everyday is like Sunday, so stop me if you've heard this before. 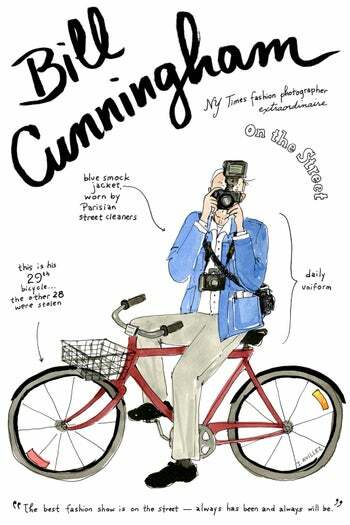 friday fun times: bill cunningham caricature! last year i saw the bill cunningham documentary a couple of times because i was so enamored by it and by him. i thought i had written a post about it, but i guess i didn't. here's the trailer. please go and see it. and for godssake don't offer him water while he works. he considers that a form of selling out. which would be fine because i think he might need money to replace the 28 bikes he's had stolen from him over the years. either way, here's something i found on FB via belles bikes which lead me to the original posting of drawings by joana aviles. love the cheeky and informative caricatures! gracias joana! and happy friday to everyone. 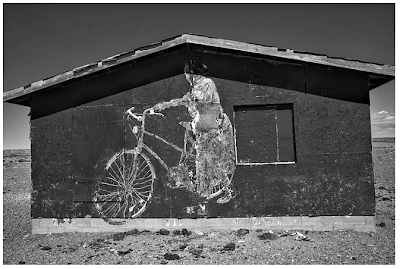 If you’ve driven through the Arizona Strip, Navajo Nation, Grand Canyon area, or Four Corners region, you’ve likely seen striking and unconventional art pasted on all manner of structures. The artist is Jetsonorama, an Africa-American physician and street artist who lives and works in the nation. This piece is called Grandma’s New Bike. For more art on Jetsonorama and his story, check out this piece here. The bicycle is an amazing thing. It is, at its essence, one of the most simple machines possible, and like most simple machines, provides benefits that far exceed its complexity. Unlike most things, the bicycle's grasp far exceeds its reach. Like most things in this category, it is not adequately appreciated. I think it is time we stopped and thought about this for a moment. I try hard to not succumb to the easy arguments in life. We should have to think about what we do, what we believe, what we buy, how we live. But sometimes that thinking can make living harder, and that is why so many of us, even me when I am tired, avoid it. Much of the time if you ask me why I bike I would probably tell you I enjoy it more, that I like the exercise, that it is faster and easier than driving in San Francisco. Those are all true statements, but they are easy ones to make. They form the ideals of most of us who chose to ride over drive. The more thoughtful answer would be that I am tired of contributing to the suffering around me- the noise, the pollution, the forceful takeover of public space that marginalizes all those who are not in a car, the sucking up of resources that need to be used in a more thoughtful and equitable way by all the people of the world. The more I think about these things, the more insane so many of them seem. The list of items I find needless and destructive would not be appropriate in this forum, but one of them is very much in line with what we try to do here at the blog- the production and propagation of bio-fuel usage in the world. The two great hopes of the transportation industry, in all its forms, are electricity and bio-fuels. Even the American Military is looking at bio-fuel as a means of fueling its insatiable need. It seems like such a great idea. Using renewable crops to grow our own fuel. Brazil is doing it in spades, and there are consequences to it most people do not want to think about. We can not make bio-fuels out of just anything when we are talking about huge industrial quantities. Reliable, high quality fuel requires consistent, high quality ingredients. Currently, no matter where you go in the world, those ingredients are sugar cane and corn (along with wheat and soy and palm oil). These used to be crops used to feed people and animals, and now the people and animals are having to compete for food with the bus fleets and old diesel vans of the world. And it is getting worse. Not only do these crops no longer feed people, they use up vast amounts of water, are grown with huge amounts of chemicals and they destroy the land they are grown in. Not everyone in the world has the resources to grow enough bio-fuel for themselves. Many countries have started buying farmland in other countries to start growing fuel crops. The countries that are selling are poor (Rwanda, Ghana, Madagascar ...) and the countries that are buying are rich (South Korea, Saudi Arabia...). "In response, the importing countries negotiated and in some cases leased land in other, more irrigable countries to grow grain and produce biofuels for themselves. Countries like Saudi Arabia, China and South Korea have all leased land in Africa, where the governments lease irrigable land for as little as $1 an acre. (source)" Land needed to feed the growing population of the world is going instead to feeding our cars, our delivery trucks, our buses, and eventually, our war ships and airplanes. So, that is what has become a huge part of why I ride my bicycle. My life and the way I live it should not contribute to the hunger of others. My needs are no more important than those of any one else. My share should not come to me because somewhere else in the world there are those desperate enough that they will give up theirs, or have it taken from them by those who are greedy and shortsighted enough to think their actions are justified. This is a long post, and not quite as a light as some of you may have come to expect from me. I think it is worth it, though. There are a lot of links here and they will take time to read and get through. I encourage you to do it. I encourage you to start thinking about the choices that you are making. Listen to the story broadcast on NPR that spurred me to write this. Tell me what you think. Does this make you want to ride more? Does it make you angry enough to start making different choices? Does it overwhelm you? If you took my advice yesterday, then you should be following Declan's example below, today. 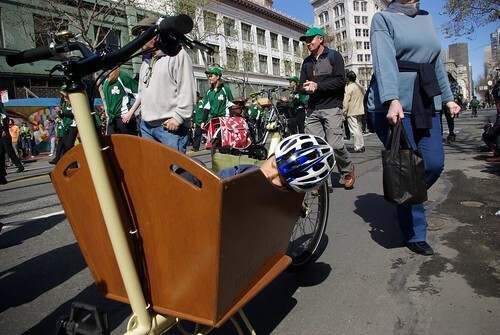 And yes, it is true, Declan can sleep through a parade. Or a Bike Party. Go play like a kid! The kids know how. Just copy them. whatta week over here on CYLRAB! first declan and una get new-to-them bikes, we had a bizarro joanie sighting and then ade confronted a bike thief with the help of some teenagers to get cameron his bike back. PHEW! in much mellower news, i received a piece of snail mail from my (as of recently) former roommate. she went on a trip to her motherland of japan and also went to barcelona. who ever said we don't need the postal service is sorely mistaken. she said this postcard reminded me of her. aww. 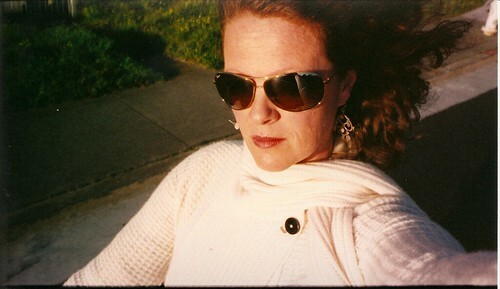 indeed, it does look like something i would be up to here in sf if the weather was a tad warmer. have a great weekend everyone! and keep that snail mail art alive, eh? Seen at the new terminal 2 /SFO, airports make my memory fuzzy +forgot the photographer's info, mi bad. Taken a couple of months ago. In the midst of presidential election, actions and reactions of frustration/change/corruption/student uprising/media monopoly emotions, the stress is quite heavy. SO, this is a good visual palate cleanser, for now (each presidential term is 6yrs long, with no re-election). 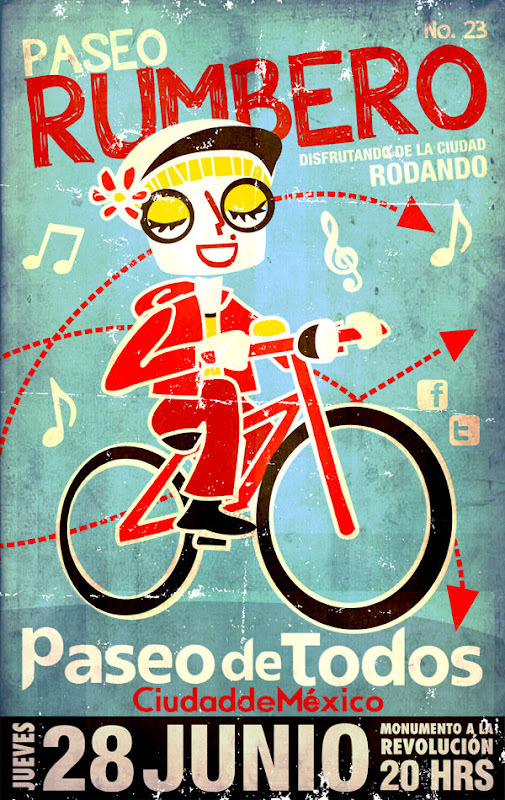 The paseo de todos (ride for all) has taken off in a few cities throughout Mexico. Asides the D.F/Mexico City ride, I know of at least two other major cities that have gained a great momentum and popularity such as Guadalajara, Jal. and Tijuana, BC. Family friendly honors its name, for all. Isn't this poster super vibrant? A big plus for us here at the blog (4women!) for representing a woman on wheels on their poster. If anyone knows the artista, please do tell. I had to share, thought the skinny man in this poster is funny. Have a grand 4th of July week/end. After many years of non-eventful bicycle life in my family, the last couple of months have been unusual. Today was just the topper. Cameron called to tell me his bicycle had been stolen from in front of his summer job at the State Building. Of course he was very upset and he was looking for a ride home when he called me. There was no point in doing the Twenty Questions bit over the phone so I got in the car and headed to Civic Center to bring him home. Civic Center in San Francisco is the black hole to which, as some comedian used to say, every freak, weirdo, drug addict, cult member and actor would eventually be drawn. Cameron just wanted to go home and feel sorry for himself but I wanted to look around. It seemed a good idea to just ask some folks if they had seen anything. It was obvious most had been there all day and Cameron's bicycle is unusual, not in the least part because it is HUGE (he is 6'5"+). I approached a group of teens who spend the day in the area skateboarding and jumping their BMX bikes. They see everything because no one thinks kids are paying attention. I gave them a description of the bike and told them it was worth $150 if they found it. One of them took me up on it. Two of his friends kept whispering to each other, they knew something. I had a feeling we may just be in luck. Next we looked for a police officer. The beat cops in Civic Center know all the bike thieves. Just as we had hailed a police car and started filing a report I got a phone call. I almost didn't answer it but boy am I glad I did! The boys had found the bike, two blocks away! The officer got in his car and said he would meet us there and Cameron and I took off across UN Plaza with a fire under us. Somehow the officer missed the spot (it turned out that even though the bicycle was in full view, it was at an odd angle from the street and its more distinguishing features were not obvious) and I wasn't willing to let Cameron's bicycle get away. The guy sitting in front of it was obviously under the influence of something, a lot smaller than I and very much in the wrong. He had put a seat bag and a Kryptonite cable on the bike to make it seem more legit. He had also covered it with dirt so it would look more like him. - "Can you prove it is yours, lady? 'Cause I just bought it from someone." -"Oh yes? That would be hard because it is mine." -"No. I am just taking my bike. You are getting nothing." The three boys who found the bike and several people from inside the dollar store we were in front of were watching at this point so this guy was getting frightened. He tried to grab the bike to take it back and I got in his way. I let him take his little bag off of it to slow him down, taking pictures of him the whole time so he would keep putting his hands in front of his face. As he started to run off, Cameron got in front of him and got a shot of his face, at which point the guy pulled a knife. Cameron let him walk off (although Cameron is blackbelt in Hapkido and well versed in knife defense and disarming people he knows the best defense is just walking away). The only picture that kinda came out. Of course he got away before the officer could catch up with us, BUT WE GOT CAMERON'S BICYCLE BACK!!!!! All of its parts, all of its pieces, everything. We had to buy a new lock on the way home (we are not sure how the guy broke Cameron's Bulldog U-lock in broad daylight in front of a high security State building, but he did), but that is OK with me. I had already gone straight to the ATM to get the boys (Adam, Mateo and Isaiah) their money. I parted with it happily as bicycles big enough for Cameron are hard to find. The boys were thrilled to get the money. I told them if they hang out there like that they should make a business of bicycle recovery. They said even though they are there everyday I was the first person to ever ask them for help. Never underestimate the power of a motivated teenager or two! They see everything. Hopefully Cameron learned something today about not giving in or letting things like this just happen to you. We got lucky we found his bike, but there would have been no luck if we hadn't tried! two for tuesday: joanie's got a twin! is Joanie day drinking sans @calitexican and sans basket? hmmph, well, i never would miss a date to drink during the day, but mama's gotta work to pay them bills. also i have plastic fenders and joanie's twin has metal ones...and the twin has springy seat which helps over bumps and potholes and the like. can't wait to see you around joanie's twin! Because it is summer, it is time for the annual Passing Down Of The Bicycle. Úna and Declan have both grown to the next bicycle level (although, Declan was forced ahead a bit prematurely). We were fortunate to be able to provide new rides from our own stable! Declan is temporarily riding Úna's old Specialized, now that it is no longer on loan to other kids. The frame is a great size and the bike is solid and well geared for our rides but the hand brake problem is not resolved. 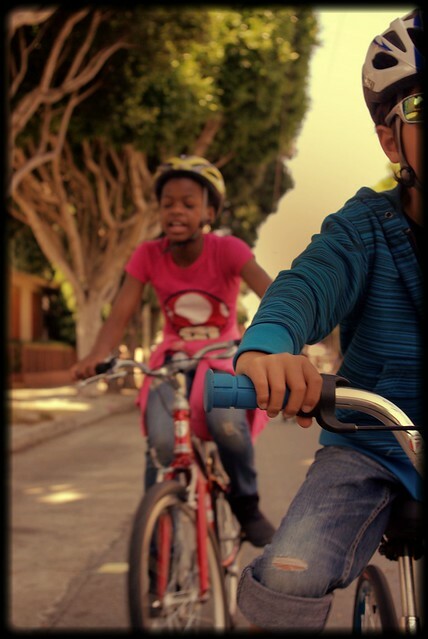 The muscles of a child's hands are just not large enough to provide the strength for repeated braking in city traffic. When we got the bike back we discovered we had incorrectly remembered horizontal drop outs on it. We had thought we could put a hub with a coaster brake on it. Nope. He also gets very frustrated with not being able to shift when stopped. 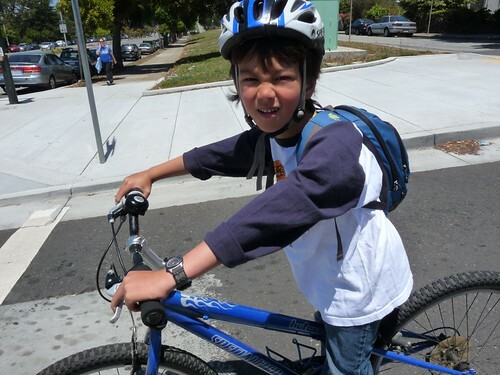 He is not old enough to anticipate gearing needs after stopping or just before hill climbing. So, even though the bicycle is a great fit otherwise it is not a long term solution (that is being put together over this week!). Úna has grown a whole bunch, too. It is quite... disquieting (example below). 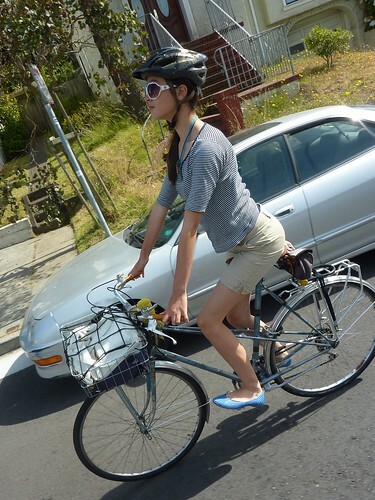 Much to her dismay, she has grown out of her beeeeautiful Araya mixte. As S.A.M. is the largest mixte frame Raleigh ever produced I think this will be the last time I have to relinquish one of my bicycles to my kids. She loves everything about her new bicycle, she even got my Brooks saddle and Acorn bag. I hesitate to say she is spoiled, but sheesh! Thus, the torch has been passed. 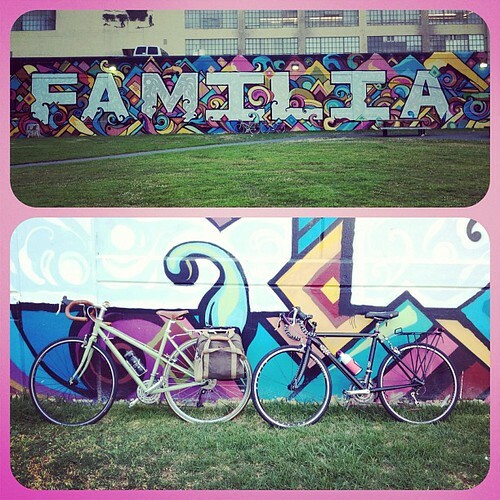 Another year of family bicycles has been provided!